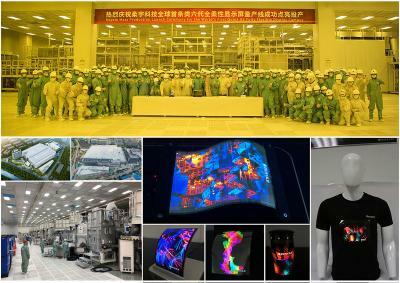 China-based Royole announced that it started volume production in its Quasi-6-Gen (5.5-Gen, most likely) flexible OLED production fab in Shenzhen. In full capacity (45,000 monthly substrate) and at high yields Royole will be able to produce about 50-million flexible smartphone panels in its new fab. Royole says that it will be able to produce "full-flexible" (which means foldable and rollable) displays as it is producing the world's thinnest panels at 0.01 mm with a bending radius of 1 mm. This is a great achievement by Royole, a new display production company, and it will be very interesting to see when the company will be able to ship commercial panels to consumers.